This Easy Turkey Soup with cabbage and turmeric is the perfect way to use up leftover turkey! Naturally Gluten Free and Low Carb. This recipe developed in partnership with Pacific Foods. Holy cow – Thanksgiving is THIS WEEK. I’m not freaking out or anything (hiding face). You guys – we are hosting this year. Well, we have been hosting almost every year but it’s been on the small side because we were living in the PNW (miss it like crazy!!). This year, we are back in PA, where most of our family lives and we are having 15 people over for Thanksgiving dinner. No big deal right? Except, I haven’t started shopping or prepping anything. But, I do plan to spend a good chunk of time tomorrow remedying this. One thing I do have set in stone is a plan to use up the leftover turkey meat. I’m going to make this Easy Turkey Soup. It’s loaded with cabbage, mushrooms, celery, onion, carrot, fresh thyme, parsley and that beautiful yellow color – that is from ground turmeric. Did I mention that this gorgeous soup is also gluten free, dairy free, Whole 30 compatible and Low Carb? 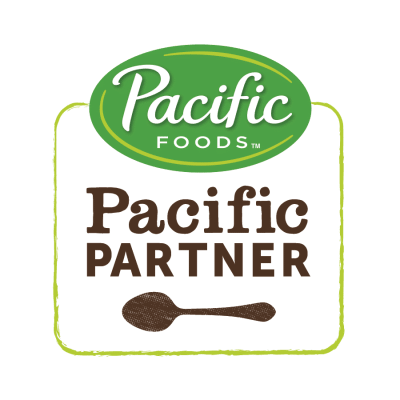 I partnered with my friends at Pacific Foods and used their Organic Turkey Bone Broth as the base. I highly recommend you make sure to have some on hand for basting, making homemade gravy and making all the Leftover Turkey soups, stews and chilis. Here are some ways you can make this soup even easier. When you are putting away the turkey, cube 1 lb of leftover meat (skinless and boneless breast, thigh, etc.). Put it in a container for the soup. No judgment — grab already diced onion, celery and carrot if you can find it at your local grocery store. Just make sure you get at least 1 cup of each. Same for the mushrooms. Most grocery stores sell already sliced mushrooms. Toss those in the cart! Last but not least, grab a bag of already shredded green cabbage. You will literally save ALL of the prep time and get this soup up and cooking in 5 minutes. This Easy Turkey Soup with cabbage and turmeric is the perfect way to use up leftover turkey! Naturally Gluten Free and Low Carb. Trim celery ribs and dice. Peel carrtos and dice. Measure 1 cup of each. Core cabbage and cut into shreds. Trim mushroom stems and slice into 1/4" pieces. Cube leftover (boneless, skinless) turkey meat. Heat a large soup pot over medium heat. Once hot, add oil along with diced onion, celery, carrot, fresh thyme and a pinch of salt. Cook 8 to 10 minutes, stirring occasionally, until vegetables begin to soften and onion is aromatic. Add turmeric, salt, pepper, shredded cabbage and mushrooms and stir to coat. Cook 5 to 6 minutes, stirring occasionally, until cabbage and mushrooms begin to reduce. Add Pacific Foods Organic Bone Broth Turkey, bay leaf and handful of parsley. Bring to a boil. Once boiling, immediately reduce heat to a simmer, add cubed turkey, cover and simmer on low for 15 minutes. When ready to serve, fish out the bay leaf, parsley and thyme stems. Serve and Enjoy! Can red cabbage be substitute for green cabbage? Great turkey and cabbage soup recipe. Thank you. This looks delicious and healthy. Will definitely try it. Thanks Sal! I hope you love it! I want a big bowl of this soup! It looks so good! Great way to use leftovers! It looks really delicious! Such a great way to use up leftover turkey! Yes!! Just made some more this morning – so good!!! Can’t wait to try this! I love turkey soup and adding cabbage and turmeric is something I’ve never thought to do! Thank YOU! I hope you love it Elizabeth! It sounds so delicious and I’m definitely going to make this soup! We all need a good soup after Thanksging table! Nothing like leftover turkey soup! I can’t wait to try this!! It looks and sounds incredibly delicious!! So excited! I hope you all love it Katerina! Yay! I hope you and your family love it Dee! So good! Turmeric has so many great properties, and combined with the turkey broth, this is a perfect winter meal! Oh my this will be perfect on those cool nights! We *just* ate up our last leftovers. Can’t wait to make more on Friday! 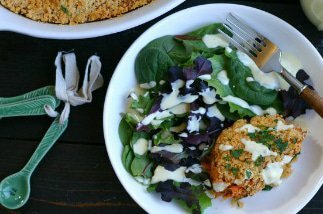 This is just perfect for turkey leftovers and love the addition of turmeric! Love me some cabbage in my soup, but I’ve never used tumeric. Can’t wait to try!